Landscape water features give you a natural sanctuary providing a respite from the stresses of the day right inside your own backyard. There is a richness and diversity that water features produce as both people and nature respond to the refreshing and soothing qualities of moving water. Whether it is a water fountain nestled among your flowers, a pool waterfall with underwater lighting as a focal point, a pond stocked with exotic fish, a stone waterfall, or spillways that feed into a meandering stream, we have ideas and tips for creating, planning and installing water features that cater to your specific desires. Why install a water feature? Well, listening to the sounds of flowing or trickling water, studies have shown, ranks among the same beneficial effects we glean from sleep or massage for their restorative, stress-relieving powers. Water features help relax mind, body and spirit. There are all manners of stone and pool waterfalls, stream designs, koi ponds, fountains and more from which to select your own personal landscape water features. 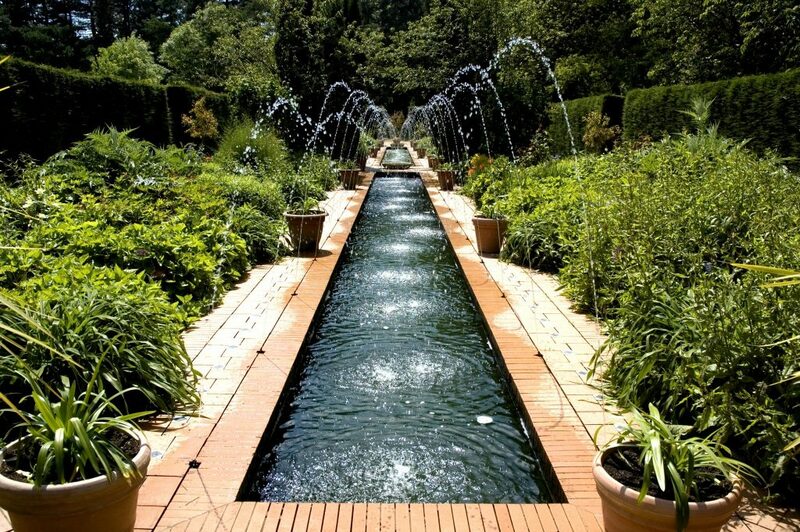 For one of the most classic water features, it is hard to beat the allure of a pool. This will take a substantial initial investment, but will be a great source of entertainment and beauty for years to come. You can even spice them up with fountains or waterfalls for a natural, relaxing feature. Requires maintenance to keep the water clean and free of the accumulation of sticks, dirt, algae, etc. If your available space is limited, a container pond is an impermanent and convenient alternative to an in-ground pool. You can convert just about any container into a container pond from glazed pots to a half-cut wine barrel to concrete bowls, all of which can be of any size. Whether the diameter is the same from top to bottom or the bowl is tapered, they typically have a wide opening, but even a 3-foot diameter allows enough space inside to add fish, aquatic grass, water lilies or other suitable plants for the perfect aesthetic touch. You can use a convenient plant support ring, which is a simple wire rack with openings that hold the plants in their containers just beneath the water’s surface. Now you are dealing with the equivalent of a fish tank to which you can add pumps and filters to keep the water clean and circulating. Wall fountains provide another alternative when space is an issue. These vertical water features offer the unexpected treat of a water aesthetic within the confines of compact spaces. They typically have a basin to catch and circulate the water with some wall fountains spilling directly into a container pond. Wall fountains use a pump requiring tubing or pipes that are invisibly set behind the fountain. For your larger property, man-made streams present a way to incorporate natural pools and waterfalls while offering a feature that may sidle up to a walkway, providing a tranquil path for all who traverse the landscape. Whatever landscape water features that you select, you should always install a pump to keep the water circulating. This helps detract still-water insects such as mosquitoes and wasps. If you do add fish and plants, make sure your pumps, filters and cleaners are up to the task. Anytime you install an outdoor landscape water feature that includes fish, expect to see other interested creatures appear on the scene such as frogs, raccoons and herons. The pleasurable effects of landscape water features enhance the overall experience of your garden, whether enjoying a backyard party, a barbecue get-together or simply a private break all by yourself. 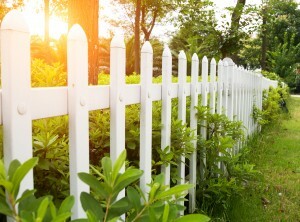 You can make your yard a sanctuary, and the investment not only offers a calming presence at home, but it contributes to your property value as well. If you are interested in learning more about custom landscape water features or how to winterize your existing features, our expert team of creative landscaping professionals can provide insight and in-depth knowledge of the many types of feature designs as well as the local Ohio terrain and trends. 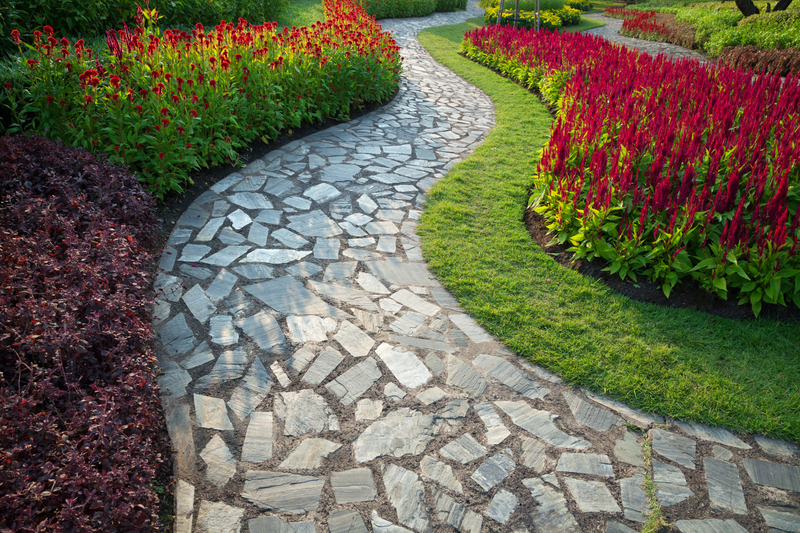 Contact us today to discuss your dream landscape and how we can bring your plans to fruition! You love your pets and even consider them as members of your family! But, unfortunately, sometimes it is difficult to maintain a perfect yard with pets roaming around it. Across central Ohio, you can see countless yards that have all of the familiar signs: big holes in the ground, dead spots in the grass, dog poop everywhere and flowers that have been trampled on. 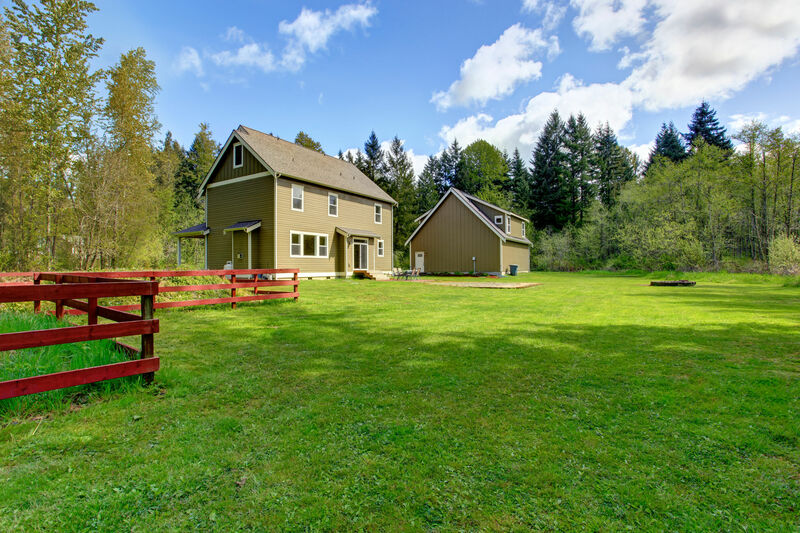 These yards have all of the bare essentials to be a beautiful space, but the owners have seemingly let their animals take them over. 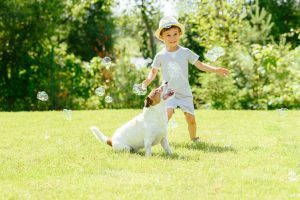 The following are some ideas you may consider if you are looking to create a pet-friendly landscape. Hardscaping may be something you want to consider if you have a puppy who likes to get his paws dirty. This will create a barrier between your dog and your garden. By designing your yard with hardscaping, you will be able to remove some or all of the spaces where your dog can dig. Whether it is stone structures, retaining walls, or paved paths, Hidden Creek can help you design and install these features to protect your space. This isn’t so much a design idea as it is a simple suggestion. Many yards and lawns are ruined because there has been so much pet waste accumulated in them over the years. You would be surprised how many families and children don’t like to enjoy their yards simply for this reason. And, guests don’t feel comfortable walking through your yard and enjoying the space unless it’s clean. You may want to consider regularly cleaning up after your pet in your yard. It will make your yard both more enjoyable and healthier for everyone. Make “pooper scooper the yard” a weekly chore for you or your kids, and protect your beautiful yard! Many homeowners like to grow little herb gardens in their yards. This is a great way to provide your own additions to healthy meals to enhance the flavor. Unfortunately, though, dogs and cats also seem to love herb gardens. Our little friends like to chew on and eat soft and small plants. Avoid this by creating a barrier around your herb garden. You could consider protecting your herb garden with chicken wire, a stone wall or another hardscaping feature. A well-designed garden will usually feature a number of different plant species. When planning your garden, though, you need to keep your animals in mind when choosing plant species. There are some commonly-used landscape plants that are poisonous to dogs and cats when consumed. Some of these common species include lilies, azaleas, and tulips. The American Society for the Prevention of Cruetly to Animals (ASPCA) has an extensive list of these plants which you may consult. Take care when choosing plants for your yard, and make sure your landscape professional is aware of this concern. A beautiful, lush, green lawn is what most homeowners desire. However, dogs can be problematic when considering your lawn maintenance. As mentioned before, dogs can frequently burrow into lawns, which causes damage. Pet waste can also cause dead and yellowing spots in the grass. 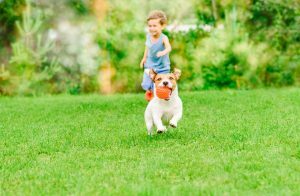 It can be difficult to balance the needs of your lawn and the needs of your pet. Despite all of these concerns, if you still want a green lawn, then consider carefully which species of grass you choose. Some species of grass are heartier, and they can take the beating of a dog’s usage a little better. For a species recommendation, schedule a consultation with one of our landscape professionals. Oftentimes, the best solution to having animals and a beautiful landscape is allocating one part of your yard for them and another part for more intricate gardening or entertaining space. This separation can often best be done with fencing. One solution would be to have a smaller backyard area where you allow your dogs and cats to roam that’s fenced in, and a separate space for entertaining and gardening. Or, if you don’t have that much space in your backyard, you can have a fenced in area in the back and then place more beautiful and delicate plants that could potentially be harmed by animals in your front yard. Features like flower beds, herb gardens, and succulent plants need to be placed away from where your pets go. As these features tend to be more easily harmed, they should be positioned in an area that will not be frequented by your animals. As mentioned before, this could be accomplished with fencing, or with a water feature or hardscaping. In areas where your animals will be, you can place sturdier plants and landscaping features. In these spaces, hardscaping or ground covers would be great options, as well as larger shrubs or small trees. In many cases, irrigation is necessary to maintain a beautiful garden. Plants have different moisture requirements to grow and be healthy. Irrigation allows you to control and create the ideal environment to keep your garden beautiful. However, many times irrigation systems are set on timers, which can actually be problematic if you have pets. Don’t set your irrigation to run immediately before or during the times your pet will be in that area of the yard. When soil and lawns are wet, they can be more easily damaged by your animals. Not to mention, this could set you up to have muddy paw prints tracked into your home! Creating a pet-friendly landscape is definitely doable, but does require some extra planning beforehand. Usage by your pet is simply another factor to be taken into account during the landscape design process. Make sure to communicate this need to your landscaping professional when creating your ideal design. Have questions? Contact Hidden Creek Landscaping and together we can build a yard that is great for you and your furry friends! Don’t Fall Into Landscape Envy! As you look around your neighborhood, you may find yourself falling into feelings of envy. Your neighbors might have perfectly manicured properties that always seem to look good, no matter the season or the weather conditions. Do you find yourself wondering what tips they may have to offer, or what secrets they can share? Let Hidden Creek Landscaping help you have a beautiful property all year around, so you can stop envying others and start loving your lawn. Make your vision a reality. We’re here to turn your landscape dream into a reality. If you have a vision for what you want, but simply don’t know where to start or how to go about creating it, turn to our experienced team. From the design to the completion of the project, we’re there every step of the way, ensuring that you get the beautiful look that you desire. We can help you transform an ordinary outdoor space into something truly exceptional. Enhance your outdoor living area. Don’t stay stuck indoors when you have plenty of room for outdoor living space. We can assist you in the creation of an outdoor oasis that your family can enjoy throughout the year. Whether you like to host gatherings, cook and dine outside, or simply want a relaxing space to unwind and entertain, we have the skill and expertise to make it happen. We carefully consider all aspects of your property to ensure that the design works best for your home. With years of experience, a growing portfolio, and a team that truly cares about our clients, Hidden Creek Landscaping will be thrilled to help you achieve your vision. Don’t fall into landscape envy as you look around your neighborhood. Allow us to help you bring your vision for a more beautiful and functional property to life. Remove fallen leaves right away. Once the leaves start falling from the trees, it’s time to get out the rake. Keeping up with the leaves is important because if they pile up too much, the moisture and mildew that sticks around beneath them can have a damaging effect on healthy grass. Take some time to rake and collect them every few days, and it will be easier to keep the lawn clear throughout the autumn. Continue mowing. Continue to mow the lawn whenever it looks like it needs a trim. By the end of the season, you should be using the lowest blade setting to get the grass short. During the fall, It will be able to absorb the moisture and nutrients that it needs to survive a long, cold winter. Seed empty areas. The fall is a good time to add grass seed and fill in any bare patches on the lawn. Remove any moss or thatch, gently loosen the soil, and add seed and fertilizer. Keep it well watered during the coming weeks. This will help you to have a lush lawn once spring arrives, and you’ll save time preparing the grass once the ground has thawed. The back to school season can be a hectic, busy time. Lawn care should continue to be a priority while the weather is still nice. By tending to the grass in the fall, you’ll be able to have a beautiful lawn to enjoy in the spring. Spring maintenance is an essential step in creating a healthy summer lawn. Soil pH can be altered by winter conditions and the soil could also become compacted. In addition, properly cleaning, fertilizing and mowing the yard early in the season is vital. This is so because winter conditions might have created conditions that are friendly to diseases and weeds. Spring is about to turn into summer in just a few weeks. By now, problems such as invasive plants and bare spots would have been addressed. The broadcast spreader would have already played its role in filling in the spots left bare by the ravages of winter. You should have moved on to the stage of maintaining an attractive, healthy lawn that is both functional and aesthetically appealing. Lawns are not just immaculately maintained patches of greenery. They play a valuable role in conserving soil, decreasing runoff, sequestering atmospheric carbon, helping to purify water, improving air quality and lowering urban heat loads. Aerate. Now that the soil is dry and warm, use a scarifier to aerate a heavily-matted lawn. To promote healthy growth, a long-term fertilizer should be used during the months of spring. The best approach to achieving a thick lawn is mowing once a week. However, when there are periods of intense growth, the lawn can be cut 2 times a week. Cut Cleverly. To ensure your grass is cut cleanly and not torn, newly sharpened blades should be used for the first cut of the year. To maintain a lush, healthy-growing lawn, only a maximum of 1/3 of the blade of grass should be cut. Plant Entryway Flowers. The unpredictable weather of early spring should have passed by now and the sponginess of the soil should have disappeared. You can now plant some flowers at the entryway to give your home a more welcoming and pleasant look. Using annual flowers and perennials to adorn the entrance of you home will have an impressive impact on the overall look of the yard. Gertrude Jekyll roses, Lily-of-the-Nile and Petunias are great choices for the entryway. Spring is finally here, the grass is turning green and the trees are budding. 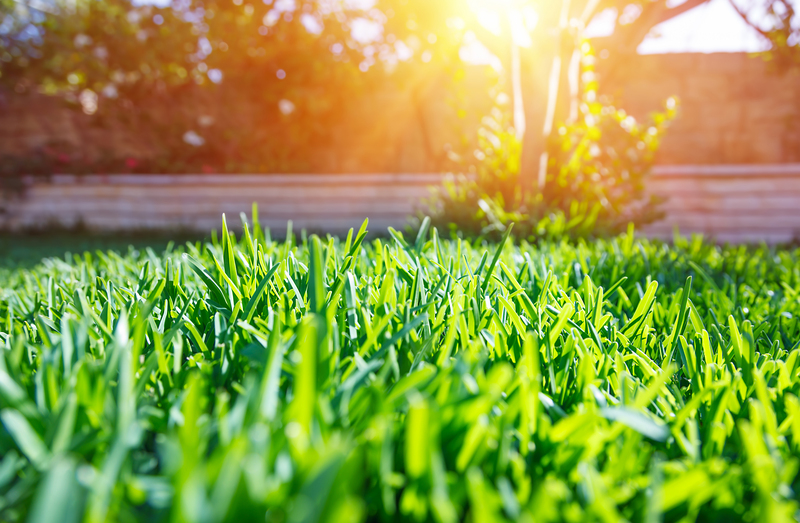 Even though the grass is not due to be mowed quite yet, there are still important things that should be done to ensure a lush, green, weed-free lawn. The following are five important tips every homeowner should take into account for spring lawn care. One step that may need to be taken is getting the lawn power raked. If the lawn shows lots of dead, dry grass or has sparse areas that will need patching with grass seed, it is a good idea to power rake first. Power raking removes dead grass, allowing light, air, and water to reach the live grass. After the long winter, most lawns need aeration. This process creates holes in the lawn that allow life-giving oxygen to reach the roots of the grass. The resulting plugs are left on the ground to decompose, adding rich nutrients to the lawn. 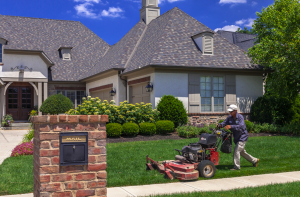 Most local lawn care companies will perform aeration for a reasonable price. The lawn should be watered a day or two before the aeration is scheduled, but should not be soaking wet. It is also imperative to apply a good fertilizer. If the lawn is prone to dandelions, thistles, or other weeds, a weed and feed might be more appropriate. This step should be done after the aeration and/or power rake for best results. Also, the homeowner should make sure that if there is a sprinkler system installed that this is prepared for spring, as watering should occur after fertilization, if it is not required prior to aeration. The homeowner should check the landscaping for anything that needs repair or replacement. Landscaping fabric can develop tears or rips and need replacement. Waiting too long to perform repairs can cause weeds to become established. Other landscaping items such as timbers, rock, and mulch should be inspected and a determination made on whether or not replacement or replenishment is needed. 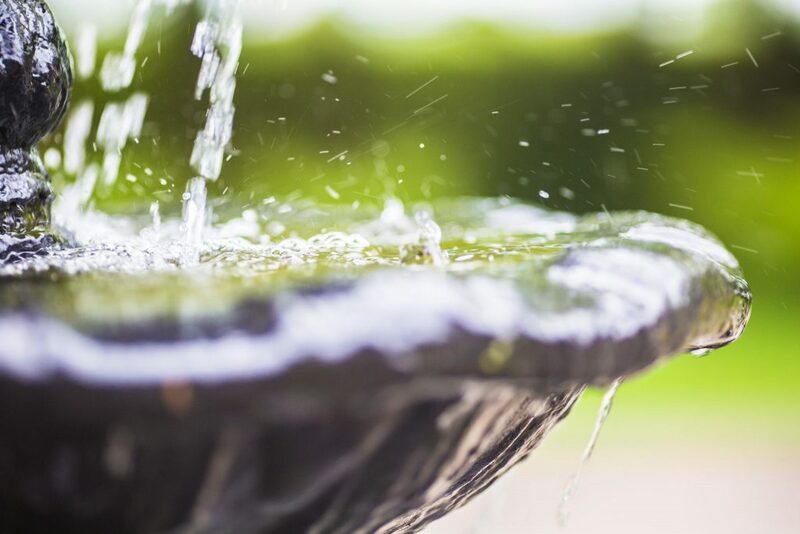 A homeowner should also determine whether or not to install certain items, such as a water feature. Doing these things now and scheduling any necessary appointments with a lawn care professional will result in a summer free of lawn care worries. In the spring, you will want to fill in any bare spots with fresh seed. This is the ideal time to sow seeds and fertilize the lawn. The soil begins to warm up, and the increase in rainfall helps to water the lawn and allow the seeds to grow into lush, new grass. Use a spike to aerate the lawn at this time. Once the new grass has started to fill in, you can begin mowing. Mowing often will help your home look maintained and cared for. The first few cuts should be set at about an inch, as you don’t want to take off too much in the spring. Aim to mow on a weekly basis. The summer season with blazing sun and increased temperatures can really wreak havoc on your grass. Maintain a regular mowing schedule, and water the lawn often to keep it looking green and lush. You can fertilize the lawn in the summer, but only if you keep it well watered. Be sure to check the forecast for rain, which will help your grass stay healthy. 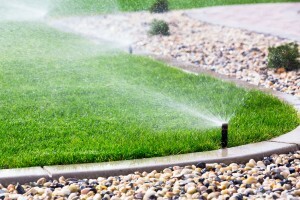 Consider installing an irrigation system so that you can easily and effortlessly keep your lawn watered. You may also want to do some weeding in the summer. In order to rid an area of weeds, you need to dig them up from the root and remove them completely. Use a weed killing spray sparingly, and avoid spraying weed killing chemicals during times of drought. In the fall, you need to prep the lawn for winter. Rake up and remove leaves, fertilize, and aerate. By taking the time to prepare your lawn in the fall, it will survive well throughout the winter. Don’t lust after your neighbor’s lush lawn any longer. You too can have a lawn that inspires envy. By following these simple landscaping tips, you can have healthy grass that you’ll love in every season. When summer arrives, many homeowners look for tips on how to care for their lawns. Fortunately, most grasses are surprisingly resilient, despite their delicate appearance and structure. Therefore, when proper lawn care methods are used, property owners can keep their landscapes looking lush and beautiful even during hot weather. Obviously, all lawns should be watered on a regular basis when temperatures are warm. However, there are many other summer tips that can also be used to ensure a beautiful lawn is maintained. Aerate. Homeowners should buy or rent an aerator, which is a device used to punch holes in a yard or lawn. This creates a direct line through which moisture and nutrients can reach the lawn’s root system. Aerating once a month is recommended by most lawn experts. Fertilize. Following approximately 14 days of watering, a broadcast spreader should be used to apply a balanced fertilizer. However, homeowners should avoid high nitrogen fertilizers, as these could have a detrimental effect on the lawn if extended heat waves occur during summer. Eliminating Lawn Traffic. It is always a good idea to keep lawn traffic to a minimum. This is because the weight of such activity compacts the soil, which in turn makes it difficult for the grass to absorb moisture. Weeds. Killing weeds is an essential step in keeping grass beautiful and strong. When weeds are eliminated, more nutrients and moisture are made available to the grass. As the healthy lawn thickens, it will grow stronger and eventually begin to crowd out the weeds on its own. Chinch Bugs. It is important to stay on the lookout for chinch bugs, which typically appear in the front yard near sidewalks and driveways. If a spreading area of dead, dry grass is noticed, the entire front yard should be treated with an insecticide specifically made for chinch bugs. Sharpen Mower Blades. It is also wise to regularly sharpen mower blades. This is because the cleaner the cut, the less stress put on the grass during mowing. Keeping an attractive lawn during hot, sunny weather can be a challenging endeavor, but with the tips outlined above and the services of a professional lawn care company when necessary, virtually any individual can maintain a beautiful property. Keep it Well-Watered. In addition to long stretches of high temperatures, there can be dry periods during the summer, as well. The combination of heat and dryness can lead to a less than lovely looking lawn. Combat the effects of heat by keeping your grass well-watered. This is especially important during those dry stretches without rain. The best time to water your lawn is in the morning, before the temperatures reach their peak. You can set up a sprinkler system to make it convenient, and you can even set it on a timer so that it will water at the same time every day. Let It Grow. While you want to keep your property maintained with regular mowing and weeding, you do want to keep the grass a little bit longer in the summer. This helps to protect the crown, which is where the new grass growth comes from. By keeping the blades of grass a little longer, it will shield that lower layer from the sun. If the crown is scorched, the grass will appear yellowed or brown, and new growth won’t be able to thrive. Use the Right Grass. Another important consideration is the type of grass that you’re growing. There are many different varieties available, and by choosing the right variety for your region, you can help to ensure that it will thrive. Do a little research before you buy and spread grass seed on your property to make sure that you have chosen a suitable type for your region. Despite high temperatures and scorching sun, you can maintain a lush and lovely green lawn throughout the summer. It takes a little preparation and work, but it’s well worth it. Following these helpful tips will ensure that your grass stays green and healthy all year long.